Home > Online shopping > 18 Piece Pyrex Set For $14.74 – Last Day! 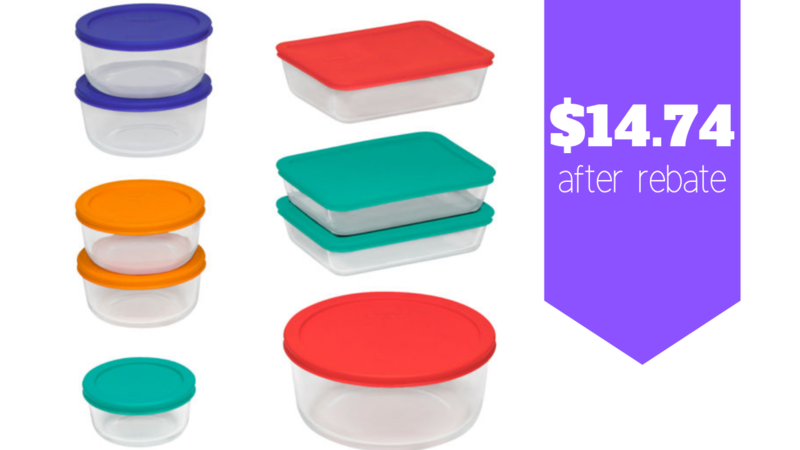 18 Piece Pyrex Set For $14.74 – Last Day! Here’s a reminder that today is the last day to get the Pyrex 18 piece set rebate deal! After the sale and code 4TOSAVE, you’ll get the whole set for $29.74. If you purchase by today, submit your receipt online or by mail before 4/16 to get a $15 rebate offer. That makes the set only $14.74!